We are crazy about circles and have plenty of fantastic quilting patterns we want to share with you. The wonderful quilting projects below were made with our GO! Circle dies as well as a few other dies in some cases. Many of you already know that perfect circles are hard to cut with rotary cutters or scissors, so inaccurate cuts will inevitably ensue. However, cutting circles are a breeze with our GO! Circle dies and GO! Fabric Cutter. You'll never want to cut a circle again using any other method once you see how quickly and accurately you can cut them using your fabric cutter. Our GO! Circle dies range from 1 1/2"-8" in size, so your design possibilities are unlimited when it comes to these dies. See for yourself below! You can make this stunning and colorful GO! Quatrefoil Squared Quilt by combining the GO! Big Square-10", the GO! Big Circle-4", 6", 7", 8", and the GO! Square-5". This amazing design is easy to piece together, and you can complete it in one day if you like as the GO! Quatrefoil is a great beginner project. This beautiful, colorful quilt features the GO! Big Circles die. Although all GO! dies will work with the GO! Big Electric Fabric Cutter, this die is one of the five New GO! Big dies designed specifically to take advantage of the GO! Big's larger size . Download the GO! 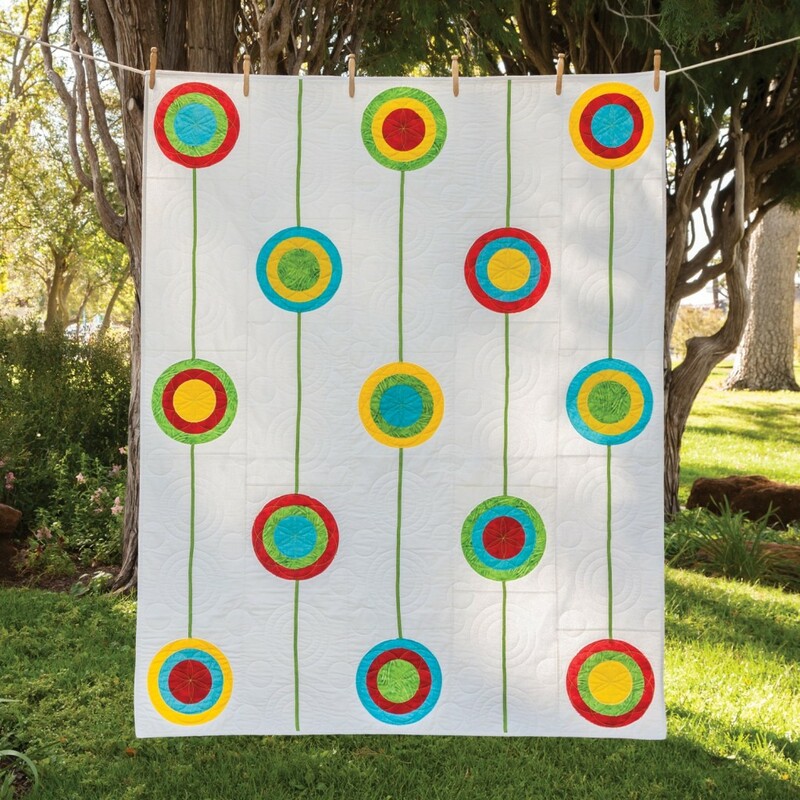 Retro Circles Quilt Pattern now, FREE for a limited time.